Photography is the passion for some people and they know everything about the camera. You are thinking that what is unique to take a picture and what is the special technique to click on the camera. But it is true that Photography is not the easiest process to learn quickly. Its an art and number of courses are available to learn the techniques, which use during photography. Time technique and angle are important in photography. The photographer always cares about the camera. A professional photographer uses a camera to take the photograph and sale photo to earn money. They totally depend on his skills of photography and the high-quality camera. There is a number of sources to earn money from the photographer. Corporate hire photographer to shoot the photo for yearly calendar, diary and for other occasions. Clean photography is always in demand. So, they always save his camera, lens, and other equipment. The camera lens is very sensitive. There are major differences in the lens of still, video, telescope photograph. It is very difficult to clean the camera. You will technically know about the adjustment of the lens after cleaning. When you change the camera lens then dust automatically gathers on the lens. It is very important to clean the internal part of the camera. Dust will hamper the photo quality and picture may be dim. To save the lens, you have to check some points. 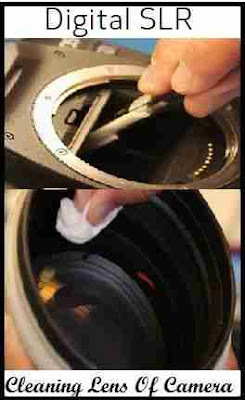 Auto Clean - DSLR camera automatically cleans the lens. Only you have to run the auto function. This camera activates censor and that censor activates micro vibration to clean the dust lens. If your camera did not have this automatic system then you can clean the lens manually too. Before starting the manual cleaning process, confirm to have the swab, cleaning solution, and air blower. How To Clean Camera Sensor? The sensor is a very sensitive instrument. So, first of all, search the right way to clean the sensor manually. If the direction booklet is available then first read carefully and do accordingly. When you opt to clean the lens, a click voice will listen to lock the mirror. Now you have to clutch the camera and clean the screen by the air blower. Be careful in cleaning the screen from the air blower. Now you close the camera and change the lens. After some time take the picture and analyze the difference between previous and current photograph quality. How To Clean Camera Sensor From Solutions? First, opt the manual cleaning process to clean the lens of the camera and then lock the screen. Now start your air blower and move on it with distance. Maximum dust will clean in the first phase. Now take 2 to 3 drops of solutions on the swab. Start to move swab on camera censer. Similarly, clean another side of the camera. Your camera is ready to take the photograph. Take some photo to test the quality and analyze the difference from previous and after cleaning. If the picture is not clear then again repeat the cleaning process. If your camera is a “Shoot Camera” then use clean smooth clothe for cleaning. You have to only care to safe screen from scratch. Don’t Do This To Clean The Camera Lens? Don’t use the high-pressure blower to clean the lens. That can hamper the lens. Rough paper towel, cloth, the excess liquid should be avoided to use to clean the camera equipment. Don’t touch the screen and LCD of the camera by finger, if oil or dust will be with your finger, that can hamper the lens. These tips will save your camera for a long time. The best tips to save the lens is to follow the guidelines given in the booklet, that is given by the company at the time of purchasing. Don’t force to open the lens manually. Contact the service station if difficult to open the lens.